Bearface is obsessed with rhythm. Trained as a classical percussionist, specialising in Indian and Latin, he has always seen how drums can draw people together, underpin gatherings and lock people into a hypnotic groove. “I see Bearface as a site of rebellion against a rigid conception of House music” he says, explaining his vision. Always designed for the floor, the tracks are picking up recognition from artists as diverse as Mr. G, Skream and Tensnake, and regularly cause damage at underground clubs across London. Plastic surgery for a flabby dance floor. ‘Moon’ comes with sharp percussion slices through surgical vocal clips, a body shaking bottom-end. Based around a feel-good disco structure, but with the playful sound design of imaginative, forward thinking house, this is guaranteed to bring energy and iron out those wrinkles. A percussive techno workout with dub sensibilities and a strongly retro feel. Reaching across genres, ‘280’ references chattering handclaps from Chicago and dreamy, robotic vocals from Italo. Mixing them all together into a psychedelic funk for those dark corners where minds are lost. A mid-tempo exploration of that fertile territory between house and techno. Lush, echoing chord-washes drift and build in intensity over a clean, repetitive drum structure. Reminiscent of Transmat offerings of late, this chord grooves to a deeper rhythm than most. Bearface offers a Sub-aqueous rhythmic exploration with Troid. A Deeply structured, echo-laden bed track supports mysterious keys floating in and out of focus, offset by gnarled acid inflections that feel like insistent questions. 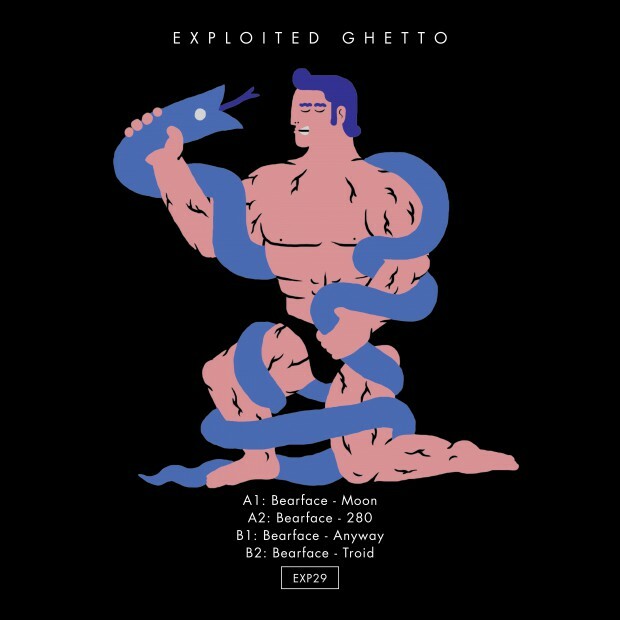 More atmospheric and suggestive than his more club focused tracks of late, this feels like an opener or scene-setter for late night narratives, where the cinematic sweeps and sparkling acid lines jostle for supremacy.